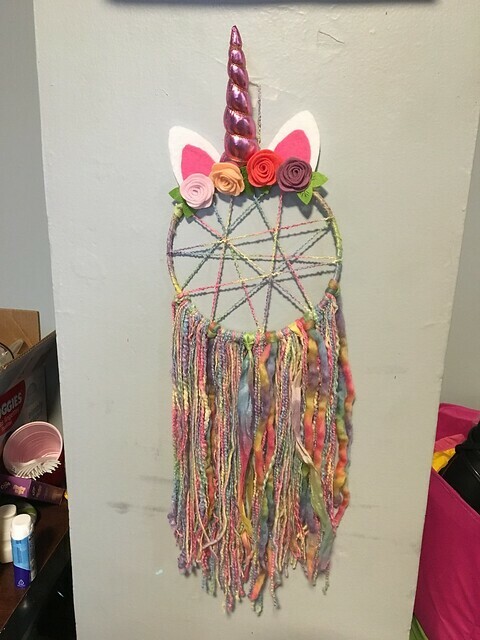 Here is a unicorn dream catcher I made for a swap. Very cool; I've never seen a unicorn combined with a dream catcher before, and, based on zero hours of scientific research, I'm prepared to declare that this creation is 1,000% guaranteed to capture and annihilate any and all nightmares! Love that rainbow variegated yarn . . .